Choosing a locksmith may seem a bit daunting, but it really does not have to be. There are many locksmith services available, so you will want to choose the right type of smith for your particular needs. If you have lost the key the the lock on your shed, you will be looking for a residential locksmith. If you are the manager of a large business operation and you would like to implement better security measures, note that many commercial locksmiths also specialize in electronic systems so this is the route that would best suit you. If you are in a position where you have been victimized by someone breaking into your home, you will want to employ the services on a forensic locksmith. There are few ways to go about finding a residential locksmith. The first way is by picking up your phone book and opening it to the yellow page section. 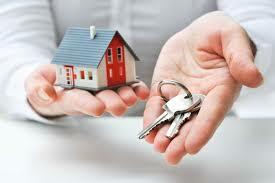 You will need to find the section entitled locksmith services. Another way to go about this is to use the Internet. A search for locksmith services will bring up a lot of results. Be sure to enter your city and state or your zip code into the search so you find smiths that are local to you. After you find some results, scan the ads. Most locksmiths will highlight the services they offer in bold lettering with their name and number. If that information is not present, simply call some of the numbers and ask if they offer the service you are looking for. Many locksmiths offer twenty four hour emergency services; you may have to leave your name and a call back number. If someone does not return your call soon, or if your situation is urgent, try one of the other locksmith services listed. Usually, commercial locksmiths will also be listed with the residential ads. Once again, the ad will often highlight the particular services, but if you are unsure, just call and ask. You may also search to see if the locksmith has a website. If so, there will often be a plethora of information about their skills and exactly what type of locking systems they are able to work with. Forensic locksmiths may be a little harder to find. They often work directly with investigative agencies. If you feel you need the locksmith services of a forensic specialist to help with a crime that you have been a victim of, talk to the police officer or insurance investigator on your case. They will let you know if this avenue has already been pursued.